4. Sir Alexander Waddell 23 February 1960 22 July 1963 Last Governor of Sarawak. 1 2 Frans Welman. Borneo Trilogy Sarawak: Volume 2. Booksmango. pp. 134–. ISBN 978-616-245-089-1. Retrieved 9 October 2013. 1 2 "The National Archives DO 169/254 (Constitutional issues in respect of North Borneo and Sarawak on joining the federation)". The National Archives. 1961–1963. Retrieved 23 April 2015. 1 2 Vernon L. Porritt (1997). 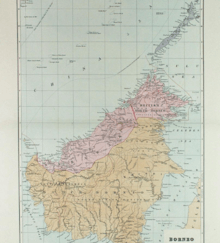 British Colonial Rule in Sarawak, 1946-1963. Oxford University Press. ISBN 978-983-56-0009-8. 1 2 Philip Mathews (28 February 2014). Chronicle of Malaysia: Fifty Years of Headline News, 1963-2013. Editions Didier Millet. pp. 15–. ISBN 978-967-10617-4-9.